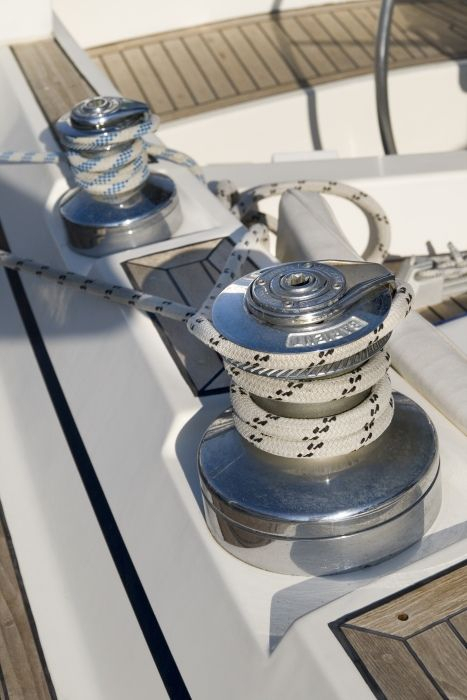 This is a beautiful Atlantic 55 luxury sailing yacht, refitted in 2015, achieving combination of fine sailing under all weather conditions and comfort. 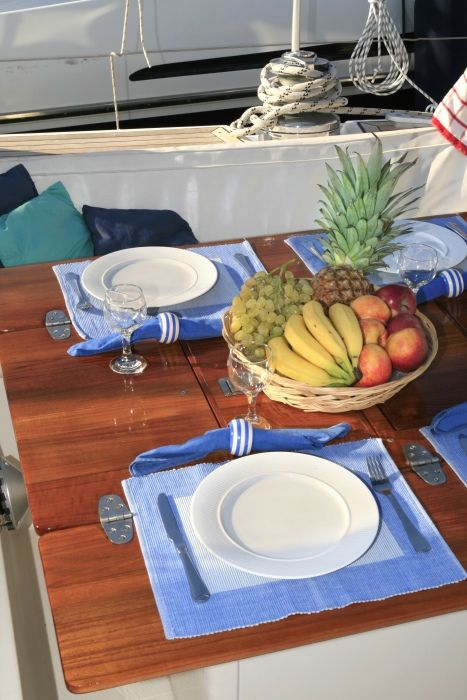 She is available for fully crewed charters in Greece, operated by a permanent experienced crew of 2 and can comfortably accommodate up to 6 guests in her beautifully decorated mahogany interior. 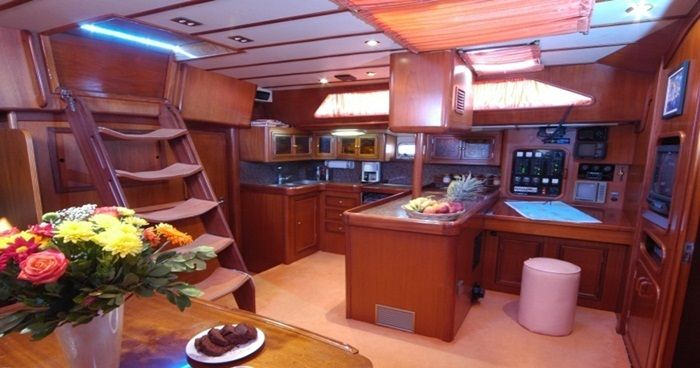 Her master cabin is very spacious making her the ideal yacht for honeymooners. 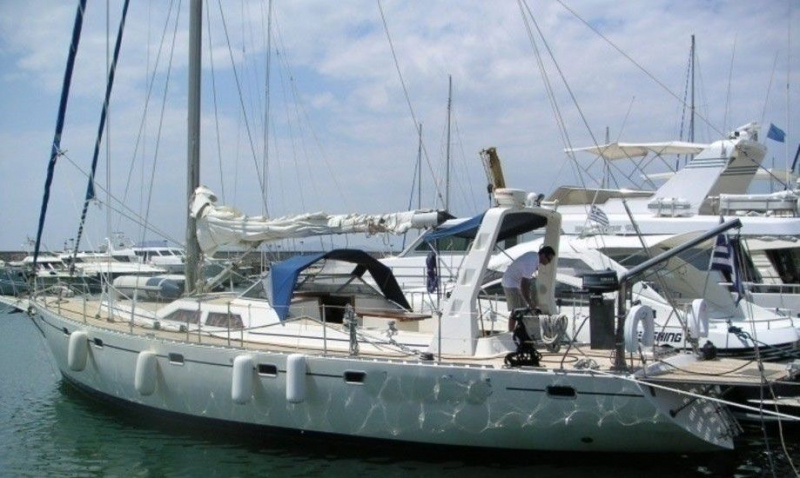 Luxury sailing yacht Atlantic 55 is based in Athens Greece and can be delivered upon request to any port of the Aegean or Ionian sea. 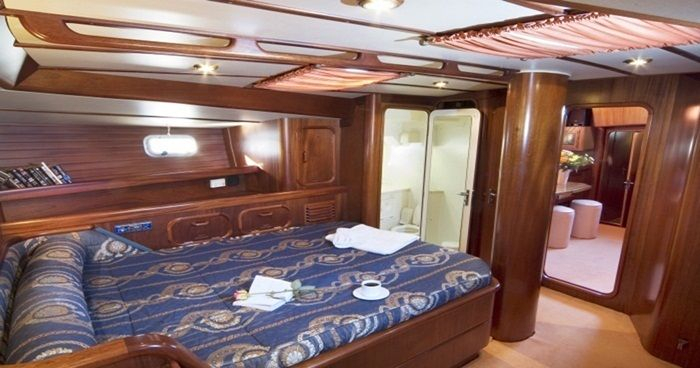 She is ideal for cruises in the wonderful Saronic & Argolic Gulf (Hydra, Spetses, Nafplio, Aegina, Agistri, Poros), Cyclades (Mykonos, Santorini, Paros, Naxos, Sifnos, Ios etc), Ionian Sea (Corfu, Lefkas, Paxi, Lefkas, Kefallonia, Zakynthos, Ithaca, Meganisi, Sivota etc), Sporades (Skiathos, Skopelos, Alonissos), Dodecanese (Rhodes, Kos, Patmos, Symi) etc. 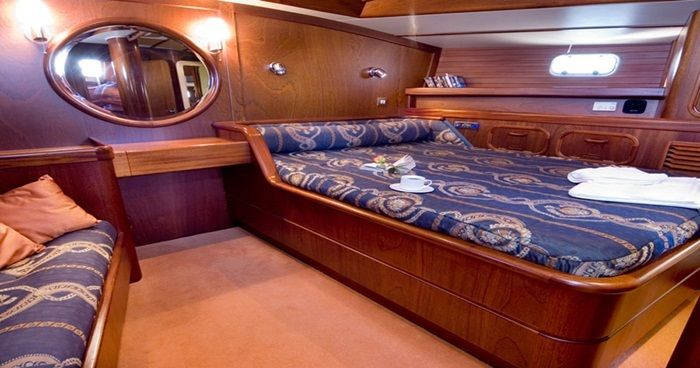 Rent this fantastic sailing yacht and enjoy the privacy and luxury of the most wonderful yachting holiday in the Aegean or the Ionian Sea. 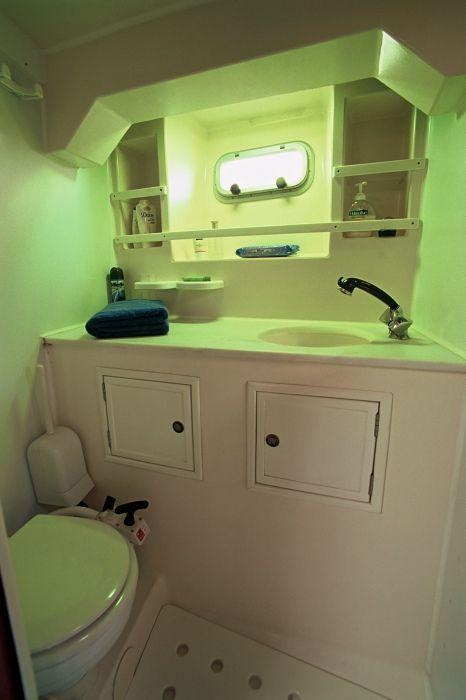 HIGHLIGHT: Very spacious master cabin, ideal for honeymooners! 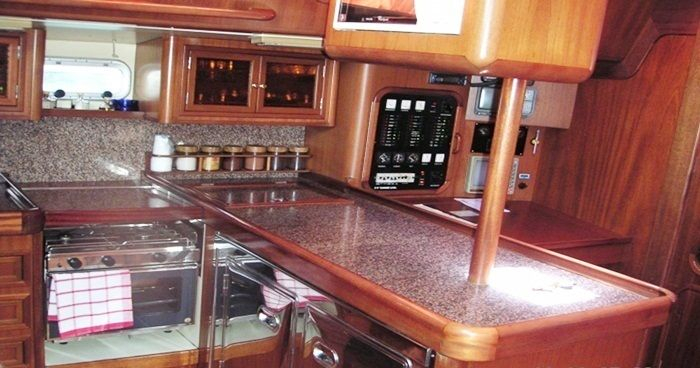 CREW: The yacht is maintained in excellent condition by a permanent and very experienced Crew of 2 (Captain & Deckhand providing cooking service for light meals). Hostess/Cook or Chef, for full cooking service can be offered upon request. 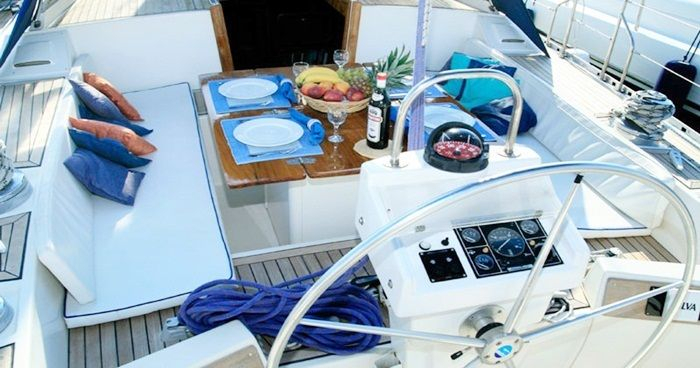 This beautiful Atlantic 55 sailing yacht is also offered for Daily charters (for 8-9 guests), parties, dinners/lunches, special events etc and offers the flexibility to start-end your charter at any day/time of the week. 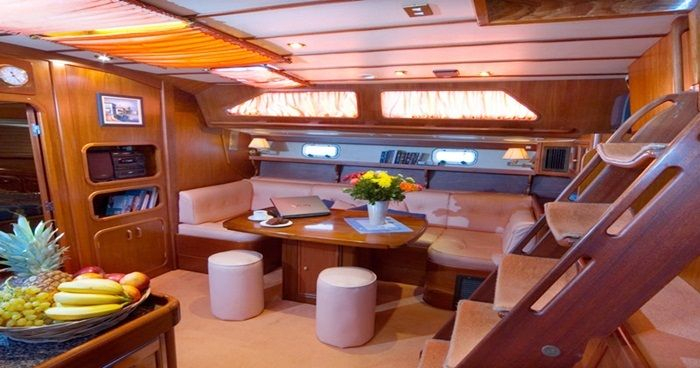 For static events the yacht is suitable for 15 or more persons on board. 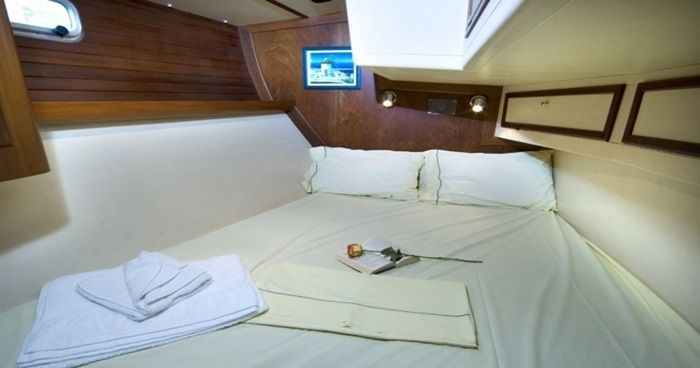 One master cabin queen size bed and settee, Two double stern cabins, each with double berths, all with en suite facilities.